Are you an artist? Designer? Non-profit organization? Student? If you're not, it's cool, stick around for what I'm about to tell you...Darth Vader is Luke Skywalker's father. Shocking, I know, but this is important because like this major but old Star Wars spoiler alert, we want to spoil you with Prodeals. Plywerk Prodeal accounts are available to individual artists, photographers, students and design professionals selling or showing their work. After your registration is approved you will automatically receive the following Prodeal discount at checkout. Super simple right? Working with photographers, artists and design professionals is what we love. We share your passion for quality and find that unique satisfaction in a well made product. We guarantee you will be pleasantly satisfied with your Plywerk which is why we offer the 100% Plywerk satisfaction guarantee. This entry was posted in Art Shows, Blog, Featured Artists, Photography and tagged art mounted on bamboo, art panel, bamboo art panel, Bamboo art panels, bamboo wall art, Outdoor Photography, photography, Prints on bamboo, prints on wood, travel photography, wedding photography on January 25, 2017 by Erin Swinfard. In 2007, when payments went delinquent on a storage space belonging to an elderly french/hungarian woman in Chicago's North Side , it's contents were auctioned off. Amidst all the boxes and newspapers were discovered a massive collection of film rolls, negatives, and prints containing beautiful & somewhat mysterious imagery. After their discovery at a local thrift auction house by collectors, it set off a chain reaction among collectors to discover who was the original owner/photographer of these images. Finding a name in one of the boxes sold, one collector by the name of John Maloof could only connect it to an obituary in the Chicago Tribune, detailing the recent passing of a woman who was unable to recover from a head injury after falling on some ice. The woman named in the death note was Vivian Maier. After John posted a link in his blog to a photo collection of Vivian's work, the response was overwhelming as her body of resonated strongly with the internet, sparking a gigantic wave of interest in her work. The world's fascination with Vivian's photography has grown to the point where 2 documentary films have been made about her life. Unfortunately to this day, many details about her life are still unknown. Working as a nanny for nearly 40 years, John was able to ascertain that Vivian "was a Socialist, a Feminist, a movie critic, and a tell-it-like-it-is type of person. She learned English by going to theaters, which she loved. ... She was constantly taking pictures, which she didn't show anyone." based on the descriptions of the children she nannied. The Merry Karnowsky Gallery in Los Angeles is currently holding an exhibit of Vivian's body of iconic work from the Maloof collection. On view every Tuesday through Saturday from 12-6pm, this exhibit closes on February 27th. This entry was posted in Art Shows, Photography on February 19, 2016 by admin. For discounts and deals support Vinny at Crowdsupply.com. Now through March 24th only. Last week Vinny was the star of Portland's first Thursday at MadeHerePDX. We were spoiled with a lot of good local chocolate and Gin tasting and a sweet music performance by Fluff and Gravy Records artist, Kevin Lee Florence! Plywerk sustainability advisor Prof. Dave Hall reading Vinny's Story. This entry was posted in Art Shows, Behind the Scenes, Record Display Products on March 11, 2015 by admin. Join us for Vinny’s Birthday Party! On March 5, we’ll be throwing the best first birthday party you’ve ever been invited to. That’s because it’s for Vinny, our newest product line currently in the crowdfunding stage. Vinny acts much older than his age implies, because he’s all about vinyl records, whether helping you display them or organize them. Available as a frame, stand, or crate, we’re actually celebrating the birthday of several different Vinnies. So come party with us! The Vinny Suite, made with juniper from Eastern Oregon. We've got a stand, two frames and a crate for all of your vinyl needs! In addition to showing off Vinny, we’ll have plenty of other things going on that day. Local musician, Kevin Lee Florence of Fluff and Gravy Records, will be performing live, and we’ll be featuring a local album-art art-show! Curated by the Portland Mercury, attendees can vote for their favorite album art and enter for a chance to with the album and a Vinny frame! And if that’s not already enough reason to show up, Commissary will be on hand serving up special Vinny cocktails with New Deal Distillery gin! (Gin and Vinny share a common ancestor in the juniper tree, so it all makes sense, see?) Clinton Street Records will also be providing some restored retro hi-fi for your listening pleasure. Commissary will be serving New Deal Distillery gin cocktails (made from juniper, just like Vinny) at the party! Alright, let’s recap: we’re throwing a party, you get to drink gin, you could win an album and a new Plywerk Vinny album frame, there’s live music, an album art show, and it’s on March 5th. We’ll see you there! This entry was posted in Art Shows, Behind the Scenes, Record Display Products on March 3, 2015 by admin. 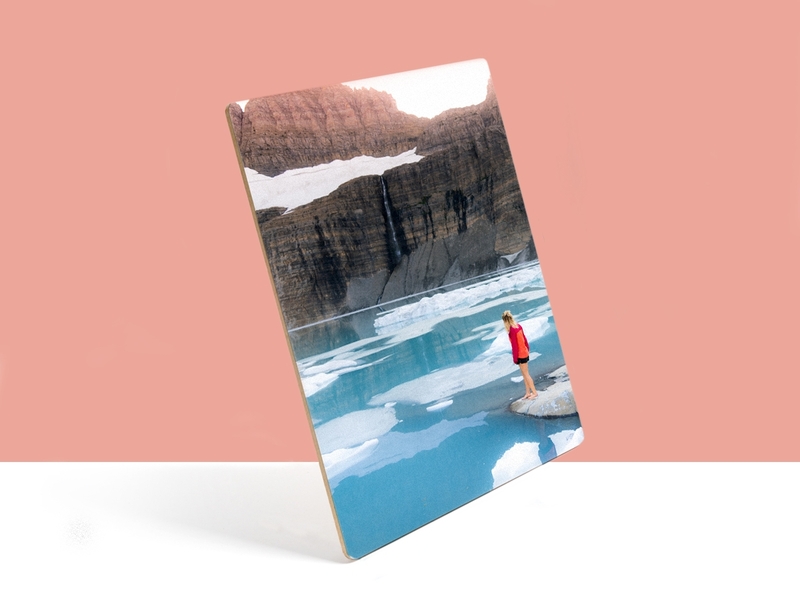 Portland professional photographer and friend of Plywerk, Andy Batt, recently exhibited a collection of his photographs mounted on Plywerk panels. We’ve known Andy for a while now as he’s an instantly recognizable face in Portland’s commercial photography scene. Turns out, though, he got his start on the opposite side of the country. This entry was posted in Art Shows, Photography on January 15, 2015 by admin. We’re going to do something a little different this time. Instead of me regaling you with the written word, we’re going to focus on what we’re all about: images. 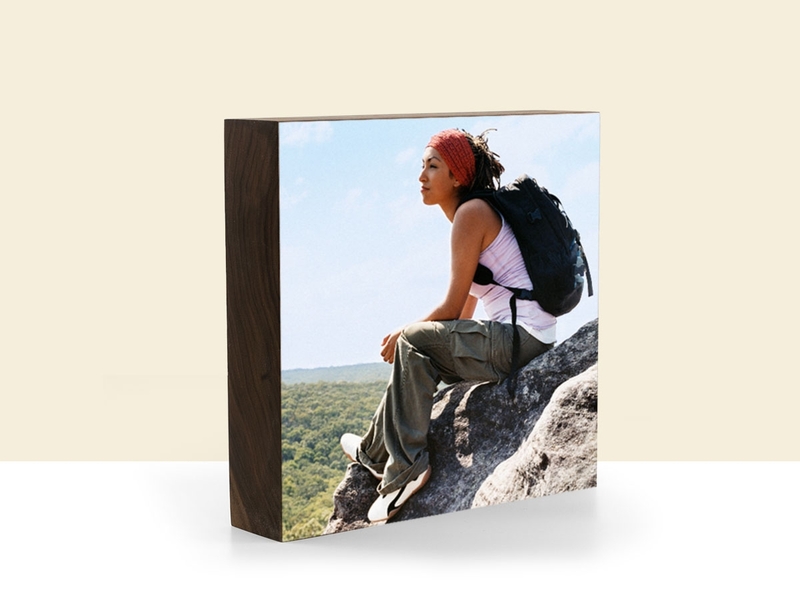 After all, we make photo display products, which would be pretty useless without a picture to mount, frame, or display on them. So we’ve put together a collection of inspiring portraits that show faces from around the world. This entry was posted in Art Shows, Beyond Plywerk, Photography on January 14, 2015 by admin. French History Professor, François Dourlen (which is to say he is French, and a professor of history) has made a name for himself completely by accident on Instagram. He inserts scene from movies into real life using his iPhone, then shares the resulting image with the world. With over 25,000 followers, people are really enjoying his creative images—and we think you would, too. Like many people, I always imagine weird things when I walk in the street, when I work or when I’m home. But I never found a good way to tell what goes through my head. This entry was posted in Art Shows, Beyond Plywerk on December 18, 2014 by admin. Drew Torrente Photography Show at N.W.I.P.A. We are happy to announce the gallery show of local photographer and Plywerk customer, Drew Torrente, on display at the N.W.I.P.A. bottle shop from November 22nd through late-December. The show, titled Local Light and Color: Corbett Views Big and Small, offers a portrait of a place through landscape and scenic photography. Drew also performs farming services and consulting work, and this Plywerk-mounted gallery show represents the first public showing of his work. Way to go, Drew! 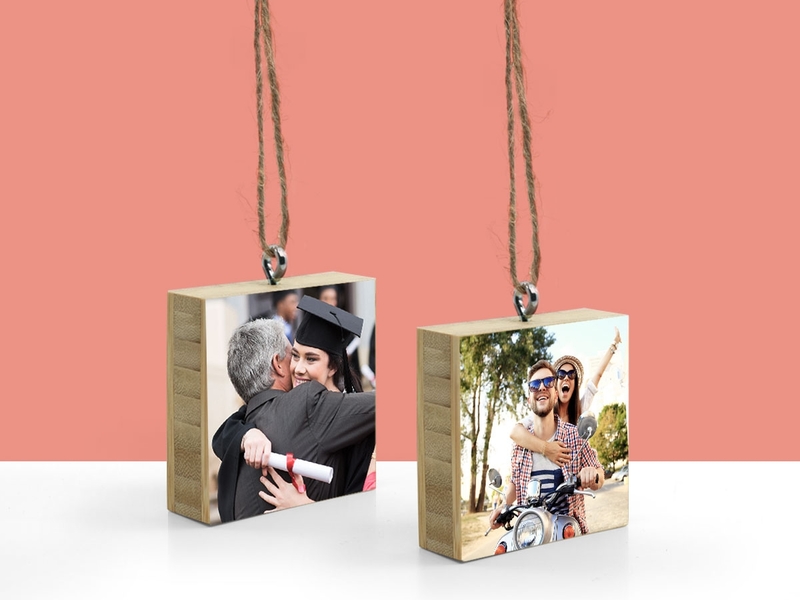 Here at Plywerk, we are always excited to see what our customers choose to mount on our custom picture frames and bamboo art panels. The variety of work never ceases to impress, and we love the opportunity to support small galleries at local businesses. N.W.I.P.A. specializes in fine IPAs and other limited-supply beers at their SE Portland location. Between their tap list, extensive bottle selection, and gallery space, they offer a great opportunity for friends and strangers to gather and connect over quality beer and great local art. We think that’s a pretty good combination. Big thanks to Drew for choosing to display his work on our eco-conscious bamboo panels, which we, of course, feel are the perfect medium to display photographs in a gallery. 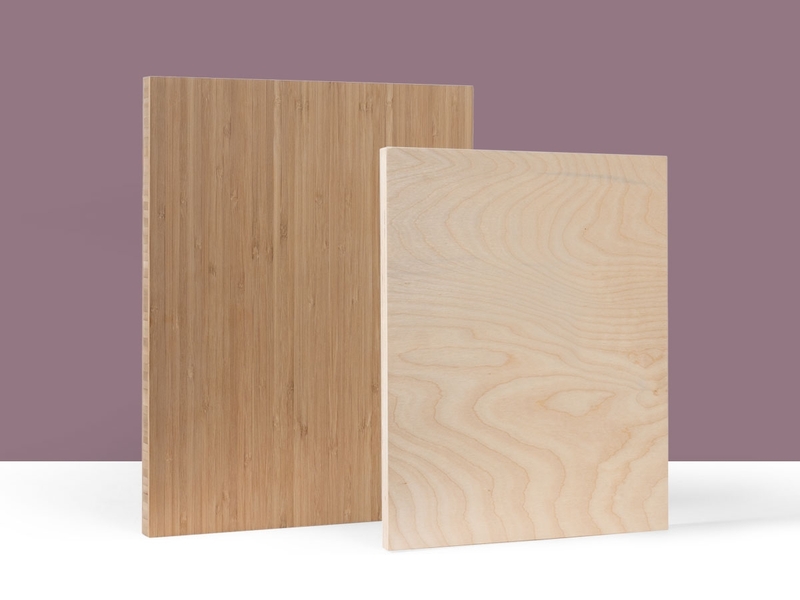 Plywerk panels feature beautifully-finished, sustainably harvested bamboo or maple that look great in virtually any environment, and hang easily thanks to the unique keyhole bored into the back of every panel. We’re proud to be able to show off Drew’s work, especially at such a great location. So stop by N.W.I.P.A. any day through mid-December to grab a beer and check out the great photography in Local Light and Color: Corbett Views Big and Small. This entry was posted in Art Shows, Photo Display Products, Photo Mounting, Photo Panels on November 20, 2014 by admin. We love seeing what our customers use our products for. 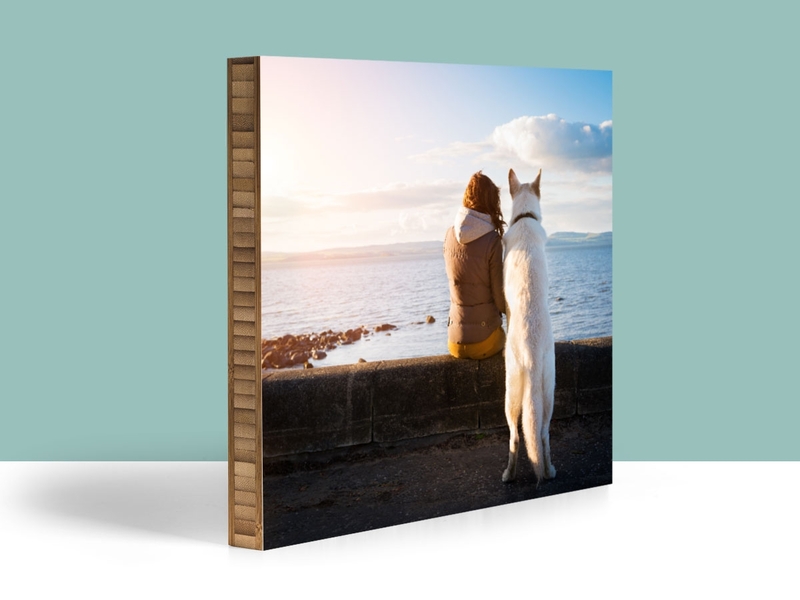 Whether for personal or professional applications, it puts smiles on our faces to see people trusting our art panels and photo display stands with their treasured memories and artwork. Recently, photographer and artist Colleen Keeley contacted us to mount a series of prints for her art show in New York City. The show, “Oh Beautiful,” featured a selection of her photographs, some of which she then painted over to create truly unique works. So a big thank you to Colleen for choosing Plywerk for her show! We’ve always been proud of our products, but we feel even prouder knowing that such creative artists choose to showcase their work on them. (Does the word “prouder” sound weird to anyone else?) This is why we support and promote our artists as much as we can, from Featured Artist interviews on our blog, to the Plywerk Art Store where you can purchase ready-made photography and artwork mounted on our eco-conscious, handcrafted bamboo panels. This entry was posted in Art Shows on October 30, 2014 by admin. Thanks for Joining Us at Design Week Portland! Last Thursday, we hosted our first Design Week Portland event, the Design of Nature. One could tell just by the sheer number of bikes locked up to any available post, pole, rail, or cable around the building that it was a popular event—apologies if you had to circle the block a couple times waiting for some bike parking to open up ;-). We were delighted to see so many people there, so a huge thank you from all of us at Plywerk to all of you who attended (even if you just came for the pie and ice cream; we won’t hold that against you). Seriously, this was such a fun night, and we had a blast talking and laughing and sharing our home with so many wonderful people. A big shout-out also to our other sponsors: Salt & Straw, Ninkasi Brewing, Pacific Pie Co., Outdoor Project, Johnson Creek Watershed Council, Northwest Earth Institute, Oregon Wild, and our neighbors, Formed Objects and Simple Bicycle Company. Events like this wouldn’t be possible without this level of collaboration, and we couldn’t have done it without you. We hope the Design of Nature was as valuable and as fun for you as it was for us. For everyone in attendance, we also hope that learning about sustainable picture framing wasn’t the least interesting thing you did that day, but we realize it’s hard to compete for your attention when there are goats present. (Yeah, there were goats there! How cool is that!?) And kudos to all the kids for keeping the dance floor alive and the DJ on his toes. This week, things are back to normal at Plywerk as we fire up the saws and sanders and the workshop resumes its eponymous responsibilities. We’re saying goodbye to Design Week Portland and going back to what we do best—creating awesome custom picture frames, mounting your prints on gorgeous bamboo and maple panels, and eating all the leftover ice cream! We couldn’t have asked for a better turnout to the Design of Nature; indeed, the biggest success of the night was the simple reminder of the wonderful community we get to be a part of here in Portland. Thank you co-sponsors, thank you attendees, thank you dancing kids, thank you goats. You are all rock stars! This entry was posted in Art Shows, Eco-Conscious, More Than Just Green on October 13, 2014 by admin.